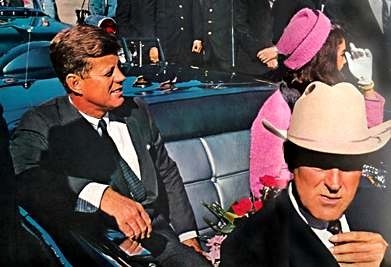 Eight months after I was born John Fitzgerald Kennedy, the 35th President of the United States, was assassinated in Dallas, Texas. Any facts after this have been disputed, argued about, written about, filmed about, ad infinitum, for decades. I was a buff, an “enthusiast”, an assassination nerd, for a few years. Then I sat down with all the facts in front of me, put them together, and made sense out of them, while at the same time ignoring the hype and the nonsense. Right about that time Oliver Stone made “JFK”, a film based in large part on the book by former New Orleans District Attorney Jim Garrison, A book I had read a few years before. I firmly place both book and film in the “nonsense” category and dismiss both. Dismiss also for a second the eyewitness accounts, the Warren Commission, all other 2nd hand accounts, witnessing, evidence. You should do the same as well- for the reasons I’ll detail shortly. I just want to be clear; any reasonable person who looks at the facts of the assassination would do well to do the same. There’s only one reasonable conclusion a reasonable person who examines those facts can come to. Anything else just adds to the so-called mystery of the whole affair. Rather than being some dark conspiracy the incident is really just exactly as it appears; a horrible circus of incredible incidents that came together to form a perfect storm. Oswald was a product of a broken home, and had a huge narcissistic monkey on his back. All his life he was driven to be more than he was, but he just wanted to will this fantasy into existence. He wasn’t willing to work for greatness. Over and over again with the tools to greatness well out of his reach he does things that are within his power to make that greatness happen. After defecting to the Soviet Union he is a celebrity, for a while. When that wears off he come back to the US. Then he thinks Cuba is his path to revival, and so on. He’s a sad sack until he sees his path to infamy. There is no way in any real world that any spooks or black hats would invest time, energy, or money using Oswald as any kind of Agent of Change. Oswald sensed that in himself, and so became an Agent of Change all by himself, with his own agenda. Stone’s JFK is another piece of work. Its based on Garrison’s “On the Trail of the Assassins” which in itself is a big fantasy. The book is based on Garrison’s step-by-step destruction of a respected New Orleans business man Clay Shaw because Garrison saw a news paper article that mentioned Shaw attending a party that may have catered to homosexual tastes. He later finds drug addict Perry Russo who spins a tall tale about Shaw and David Ferrie, another New Orleans personality at a party where they apparently make plans to assassinate Kennedy. Garrison is a strange character in his own right. He’s been involved in the darker corners of New Orleans politics himself having been indicted in an odd little pinball scheme, and over and over again bringing up charges on people in and around New Orleans who angered him in one way or another, only to get the charges dropped when outside light was shown on his accusations. Perry Russo himself wasn’t able to corroborate his own stories about Shaw, Ferrie, and Oswald that became the basis of Garrison’s book. So put Garrison and Stone’s flaming bag of poop aside for good. Here’s another factoid about the whole affair that never sat right with me: if it was a conspiracy, the very scope of it and the length of it would make it the most successful conspiracy ever. Think about the number of people who would need to be involved; from Lyndon Johnson, the Vice President, to the ambulance drivers in Dallas, the secret service, the Warren Commissioners. Earl Warren was involved in a cover-up of the assassination of President Kennedy? Earl Warren was born in Los Angeles, CA in 1891, and grew up in Bakersfield, CA, where his father worked for the Southern Pacific Rail Road. He then attended UC Berkeley, then became a lawyer and joined the army in 1917. After coming home to California he developed a reputation as a corruption-fighting DA. As he rose higher in the state legislature he continued to hone this reputation, being known to be honest to a fault, and a liberal crusader, as shown by his leadership in Brown v. Board of Education, a landmark decision. He also worked hard to nationalize the Bill Of Rights, and with Griswold v. Connecticut he showed that US Citizens have a constitutional right to privacy. Legal and legislative accomplishments aside, Warren had a reputation for being a frankly honest man, period. Point of all this is; do you really expect me to swallow that Warren was part of a conspiracy to assassinate Kennedy, something he most certainly would have had to been a part of? I don’t think so. You are currently viewing the archives for February, 2014 at Twittech Conditional Behavior Modification.